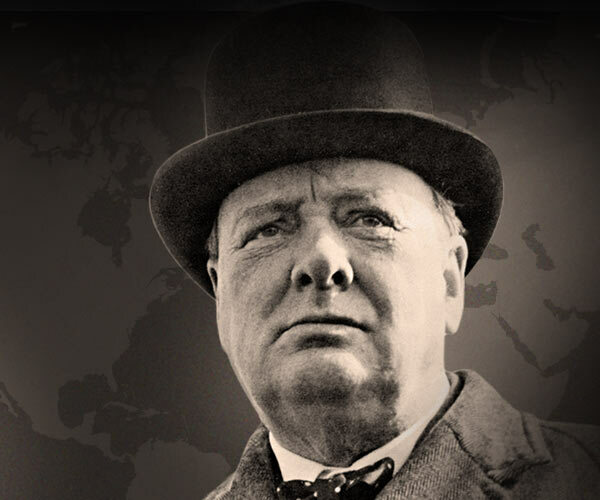 Join biographer Michael Shelden, professor at Indiana State University, to gain keen insights into how Churchill lives up to his legend in every way. Sign up for a FREE TRIAL to stream this course now. Stream thousands of videos on History, Science, Literature, Photography & more! Michael Shelden is Professor of English at Indiana State University, where he has won the top award for excellence in scholarship, the Theodore Dreiser Distinguished Research/Creativity Award, three times. He earned his PhD in English from Indiana University. Professor Shelden is the author of six biographies, including Young Titan: The Making of Winston Churchill, which has been translated into Russian, Chinese, and Portuguese. He has also given lectures on Winston Churchill for The National WWII Museum and the International Churchill Society. Professor Shelden’s book Orwell: The Authorized Biography was a New York Times Notable Book and a finalist for the Pulitzer Prize. His book Mark Twain: Man in White was a New York Times Best Seller, was chosen as one of the best books of 2010 by the Library Journal, and was named one of the best nonfiction books of 2010 by the Christian Science Monitor. For 12 years, Professor Shelden was a features writer for The Daily Telegraph in London. His many scholarly articles and reviews have included publications in the Folger Shakespeare Library’s Shakespeare Quarterly, the Oxford Dictionary of National Biography, Victorian Studies, and the Journal of British Studies. Wesley K. Clark rose to the rank of four-star general during 38 years of service to the United States. He graduated first in his class at the U.S. Military Academy at West Point and was selected as a Rhodes Scholar to study at Oxford University, where he earned his M.A. in Economics. Gen. Clark has also been awarded numerous honorary doctorates. As a young officer in Vietnam, Gen. Clark commanded an infantry company in combat. He was severely wounded and evacuated home on a stretcher. Later, Gen. Clark commanded at the battalion, brigade, and division levels—including the famed 1st Cavalry Division—and served in a number of significant staff positions, including as Director for Strategic Plans and Policy on the Joint Chiefs of Staff in Washington. In this role, he worked with U.S. diplomat Richard Holbrooke to negotiate an end to the conflict in Bosnia. Gen. Clark’s military career culminated as NATO Supreme Allied Commander Europe; in this position, he led combined forces to victory in Operation Allied Force, protecting 1.5 million Kosovo Albanians from ethnic cleansing. His awards include the Presidential Medal of Freedom, the Defense Distinguished Service Medal (five times), the U.S. Army Distinguished Service Medal (twice), the Silver Star, the Bronze Star (twice), the Purple Heart, and two honorary knighthoods. Since the end of his military career, Gen. Clark has worked as an investment banker, a businessman, a commentator, an author, and a teacher. He ran as a candidate for United States president in the 2004 Democratic primary campaign, winning the Oklahoma primary before withdrawing. Gen. Clark is the author of four books: Waging Modern War: Bosnia, Kosovo and the Future of Combat; Winning Modern Wars: Iraq, Terrorism and the American Empire; A Time to Lead: For Duty, Honor and Country; and Don’t Wait for the Next War: A Strategy for American Growth and Global Leadership. Gen. Clark is the chairman and CEO of Wesley K. Clark and Associates, a strategic consulting firm, and chairman of Enverra, a boutique investment bank. He has also served on the boards of several public and private companies and is a senior fellow at the Burkle Center for International Relations at the University of California, Los Angeles. Dr. Robert J. Allison is Professor of History at Suffolk University in Boston and also teaches history at the Harvard Extension School. He graduated from the Harvard Extension School with an A.L.B. before earning a Ph.D. in the History of American Civilization at Harvard in 1992. Professor Allison received the Harvard Extension School's Petra Shattuck Distinguished Teaching Award in 1997, the Suffolk University Student Government Association's Distinguished Faculty Award in 2006, and the Suffolk University Outstanding Faculty Award in 2007. His books include The Crescent Obscured: The United States and the Muslim World, 1776-1815 (2000); A Short History of Boston (2004); Stephen Decatur, American Naval Hero (2005); The Boston Massacre (2006); The Boston Tea Party (2007); and the upcoming A Short History of Cape Cod. He has edited books on American history spanning from the colonial period to the 20th century. Professor Allison was a consultant to the Commonwealth Museum at the State Archives in Boston, and he is on the board of overseers of the USS Constitution Museum in Charlestown, Massachusetts. He is vice president of the Colonial Society of Massachusetts, an elected fellow of the Massachusetts Historical Society, and president of the South Boston Historical Society.